Rev. 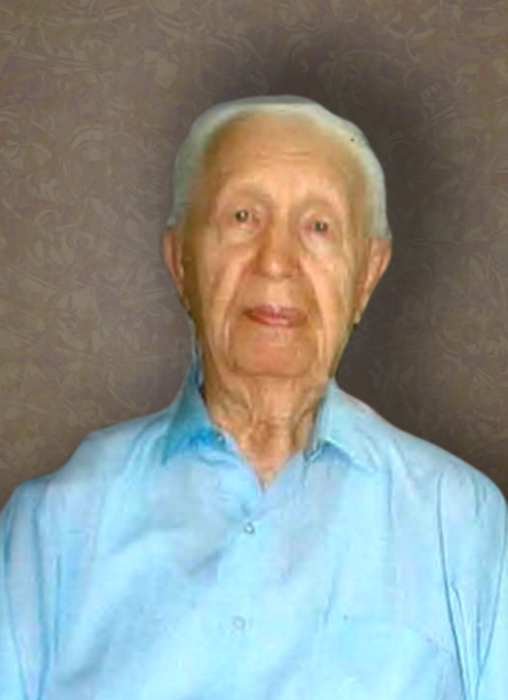 Valdeko Kangro (102) of Andover CT, passed away in his home on Saturday, March 23, 2019. He will be greatly missed by the Estonian Ev. Lutheran Church Community, that was his family. His productive 102 years have taken him to many countries and churches for services. His biographical notes include some of the following. Born on August 8, 1916, in Tartu, Estonia, he graduated from the Hugo Treffner High School in 1934 and from the Advanced School of Music three years later. Already at that early time, his studies included religion at the University of Tartu. As a young student, he did not avoid the military service in Estonia -- before the onset of World War II. Living in Tallinn, he was able to continue his studies of conducting and instruments at the Conservatory of Tallinn. The graduation day was in 1944. But before the 1944 date, he became the assistant teacher for string instruments and participated in the State Symphony Orchestra in the capital city. Due to his religious devotions, he became the pastor of the Tallinn Evangelical Christians Congregation. The events of World War II took him to Sweden from where he was chosen to attend the Andover Newton Theological Seminary (at Newton Center, MA). He graduated in 1951 with a B.D. degree. Interestingly, his thesis was Montanism! From 1949-1952 he was teaching strings and Chamber music at Bethel College in St. Paul, Minnesota. And in 1954 he became the Head of the Music Department at the Northeastern Bible Institute in Pennsylvania. Valdeko’s knowledge of the Bible was phenomenal. His expressions frequently referred to the Book as the basic truth. Beginning in 1968, he became the assistant pastor for the E.E.L.K. (Estonian Ev. Lutheran Church) in NYC (St. Paul’s Congregation); and concurrently served as concertmaster for the Huntington Symphony Orchestra on Long Island. He also found time to conduct the NY Estonian Men’s and Women’s Choirs. His religious work took him to Canada as the pastor of the United Congregation and also the St. Peter’s Congregation in Vancouver. He was ordained by Archbishop Konrad Veem on November 2, 1971 in Stockholm as the E.E.L.K. USA First Deanery vicar pastor. Valdeko finally arrived in Connecticut, where the congregation elected him to serve as pastor in early 1973. Besides his preaching and teaching church activities, he became the conductor of the Congregation mixed choir. He was an accomplished violinist, using his God-given talent to beautify his ministry. But the Estonian population in southern Florida attracted him to warmer climates. With many hours of travel, he also served the South Florida St. Paul Congregation, starting in 1996. When long travels and his age became the difficulties in later years, he mainly served the local congregation. A memorial funeral service will be held at 1:00PM on Saturday, March 30, 2019 at the First Congregational Church, 359 Route 6, Andover, CT 06232. Burial will follow at the Townsend Cemetery. Memorial donations in Rev. Kango’s honor may be made to the Estonian Ev. Lutheran Church in CT, c/o Ylo Anson,138 Boston Hill Rd, Andover, CT 06232, or the charity of your choice. You are invited to sign the online guestbook at www.manchesterfh.com The Church building will be open 1 hr. prior to the service.